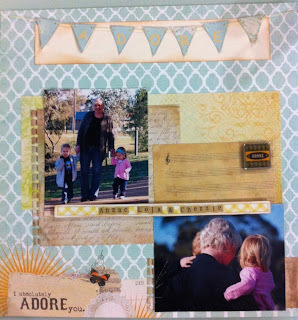 This week I tried to finish a layout that I picked the photo for and couldn't get it going. I still have not completed it. However I did do a couple of page layouts this afternoon. I don't got out to my bungalow to scrap very often on my own but did today. I said I was going out for an hour and so David was going to play GT5 on his Play station. So 4 1/2 hours later I ventured back inside the house and David was sitting in the dark playing. No lights on, that would mean putting down the control to get up and flick the switch. 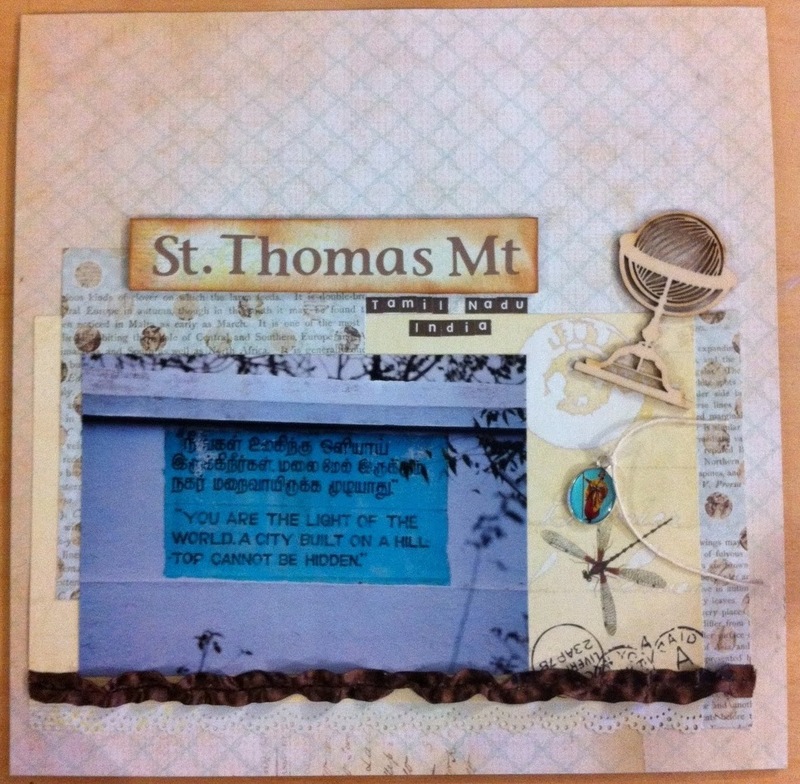 The first layout is from when I went to India and we went up to St Thomas Mount on my first day there. Matthew 5:14“You are the light of the world, a city on a hill cannot be hidden. When we went up the mountain this was painted on the concrete fence. Think it was to welcome me. Next is a couple of photo's of 2 of my favorite kids in the world. I now have my own real life grandchild Charlie, however I have these 2 pretend grand kids. I do truly adore Anzac and Lola. They a such little darlings. This day was a fun day. The strip that I put our names on is the waste border on the bottom of the page. For the bunting I cut the triangles and put the letters on. Then when I put it on the page it blended too well, so I put the mounting strip behind it. I did border the bunting with some good ole kind glitz.